The rusting abandoned buildings of Western Australia's ghost towns are now a major tourist attraction. Gold fever may have died down in Western Australia's outback, but its ghosts remain alive and well. The early 20th-century gold rush saw people from all around the world pour into Kalgoorlie and neighbouring Northern Goldfields, braving harsh conditions to pursue the dream of great wealth. Towns including Gwalia, Kookynie and Ora Banda were established to take advantage of the gold fever that was gripping the nation. 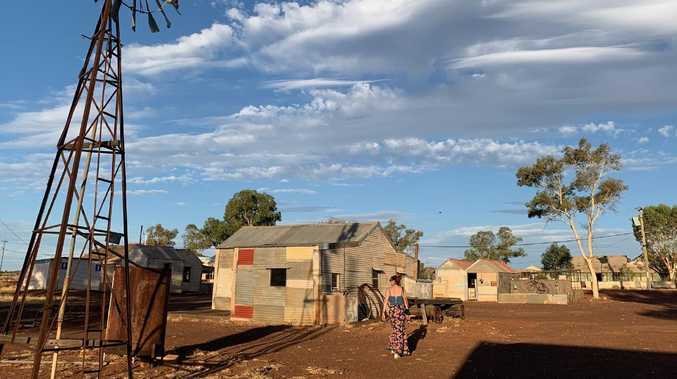 But as the gold rush died down, the outback's population numbers dwindled and almost instantly, the once-thriving towns became ghosts of Australia's golden past. Nowadays, these living museums attract tourists from all over the world for an unnerving Australian outback experience worthy of a #ghostsofgram hashtag. Gwalia is a spooky ghost town located in WA's Northern Goldfields, 235 kilometres north of Kalgoorlie and four kilometres south of former commercial hub, Leonora. The late 19th-century prospector's village stands as if frozen in time since the abrupt closure of the Sons of Gwalia mine on the 28th of December 1963. 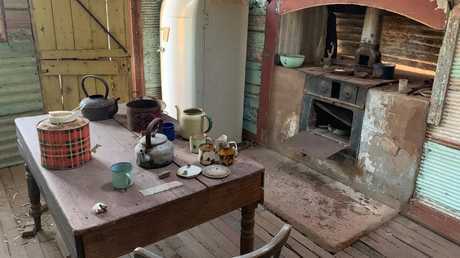 The eerie relics of Western Australian ghost town Gwalia remain in former miners’ cottages. It had gone from a population of roughly 1200 to 40 by January 1964. Despite open-pit mining resuming in 1983, the mining town never recovered in population numbers. Today, the former boomtown stands as a doorway to WA's gold rich past, attracting those wanting a unique, "dark tourism" walkabout experience in the state's red-dirt outback. The town never recovered after the mining boom, and is filled with rusting cars and derelict cottages. Under the shadow of its lone towering windmill, tourists can enter all that remains of its derelict corrugated iron, quaint timber cottages and crumbling businesses. 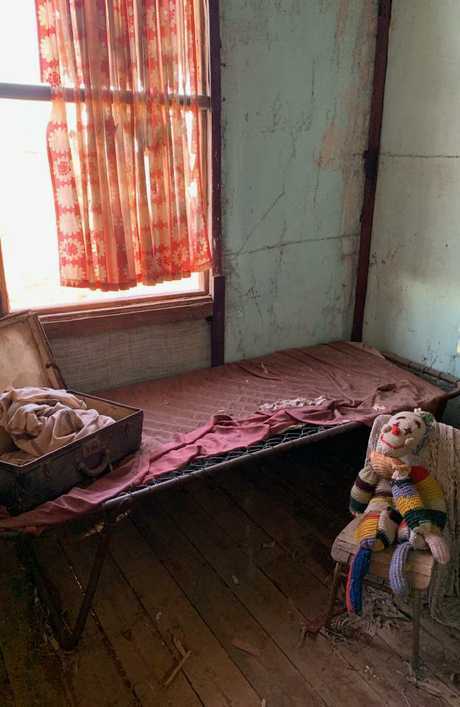 Despite countless raids by opportunists hoping to seize a quirky souvenir of yesteryear, many of the former miner cottages still contain discarded furniture and household items, providing a snapshot what life was like more than 50 years ago. Thankfully, some of its 31 buildings have been restored to preserve its historical importance, including the pristine Hoover House. Some of its 31 buildings have been restored to preserve its historical importance. It was named after its first mine manager, Herbert Hoover, who would later become the President of the United States, despite not ever residing in the house. The house now stands as a luxury (and truly unique) bed and breakfast accommodation that overlooks the open-pit gold mine and shadows the outback ghost town. The once prosperous town Kookynie may have lost much of its grandeur to ghosts, but that hasn't killed off its appeal. 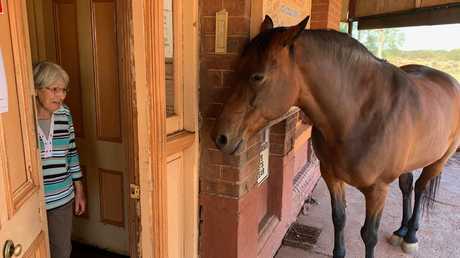 The town attracts tourists looking for a unique outback pub experience at the 1902-built Kookynie Grand Hotel, with famous resident and potentially WA's most Instagrammable horse, Willie. Willie gives the old-time "a horse walks into a bar" joke a whole new meaning as the town pony acts as bouncer, residing just outside the pub entrance - with a permanently long face. The town horse in Kookynie almost acts as a bouncer, residing just outside the pub entrance. Margaret Pusey says Willie pops his head into the pub every day, making him a regular and a tourist drawcard. In its heyday, the town was booming, with a racecourse, shops and factories. It even boasted the region's first swimming pool. 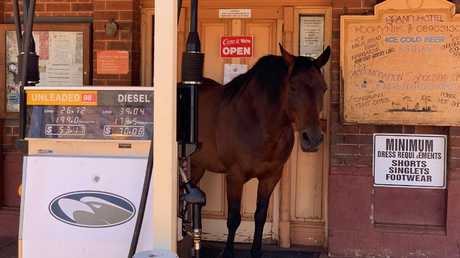 Nowadays, the old Kookynie townsite is home to ruins of the Cosmopolitan Hotel and National Hotel, the restored Cumberland Street shops and of course, a resident runaway outback horse. 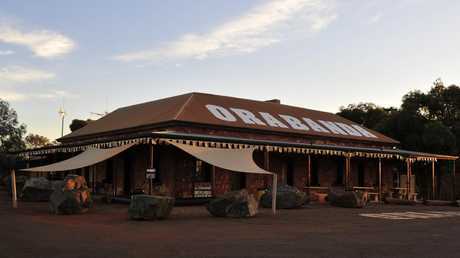 Just 67km northwest of Kalgoorlie is another town with a haunted past, Ora Banda. The town would almost be soulless if you took out its focal point - another pub. Ora Banda is a skeleton of its former glory days, when its population exceeded 2000 in 1910. 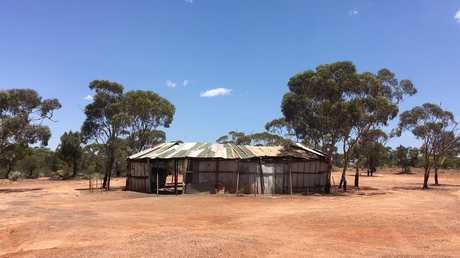 Today, many of the mining town's timber buildings and isolated homesteads have been left to rot, with some removed altogether since ceasing operations in the late 1970s. The only life in this former mining town is a Government Battery (now converted into a museum) and its much-loved pub, the tin-roofed Ora Banda Historical Inn. 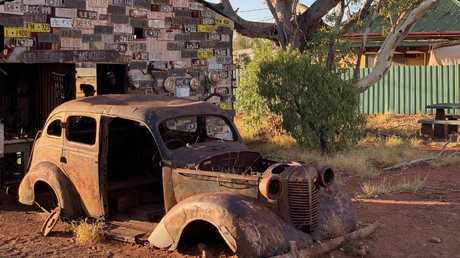 Just 67 kilometres northwest of Kalgoorlie is another town with a haunted past, Ora Banda. The pub is a favourite pit stop in the golden outback, with an infamous past. In 2000, the town received notoriety as the focal point of a hostile bikie feud that resulted in Gypsy Jokers member Billy Grierson being fatally shot by an unknown killer. In retaliation, the then Ora Banda Hotel owner and former Criminal Investigation Bureau Perth chief and prime shooting suspect, Don Hancock, was killed in a car-bomb attack in Perth the following year. The current owner of the Ora Banda Historical Inn does not shy away from its bloodthirsty past, producing a folder of media clippings about the town's involvement with the violent crimes. It's a read that's hard to swallow while tucking into a hearty chicken parmy. 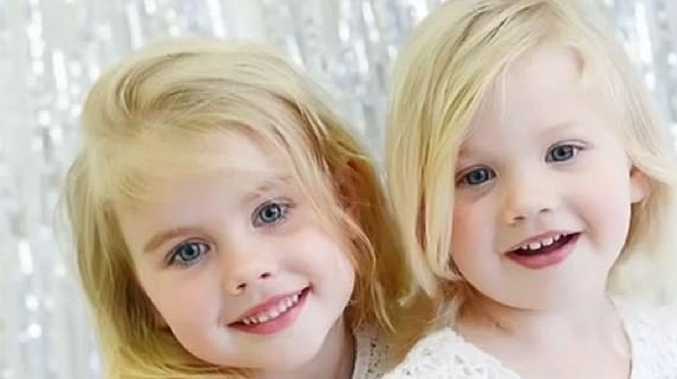 But locals must be at least partly grateful to their bloodthirsty forebears, since it's the town ghosts who are giving these outback hubs a new lease of life.